Met a new collector friend at Parkers Show near Gatlinburg, Tn on Friday. As I roamed the isles, I passed Tom Marino’s table and couldn’t help but notice this huge New York Knife Co. display knife featured front and center. It was etched “Hammer Brand” and had bails on both ends so it could be hung. 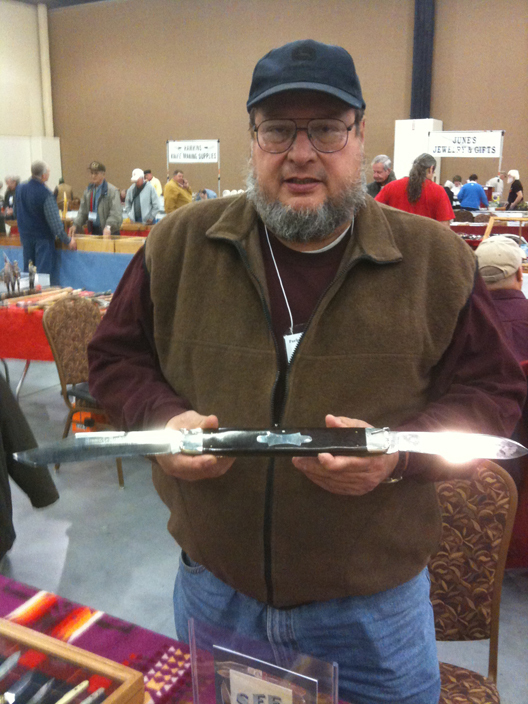 Tom is a member of the Northeast Cutlery Collector Association and sets up at shows throughout the eastern-half of the country. As I admired his NYKC display knife, we got to talking. He is a huge George Schrade and Push Button Knife fan. The minute he started telling me about them, I recognized his passion immediately and pulled out my iPhone to record all the nuggets. Allow me to introduce Tom Marino, as he shares his passion for the Push Button Knife and George Schrade, its inventor. This interview is posted at the CutleryNewsJournal YouTube Channel. Thank goodness we have professional folks on the watch for threats to our everyday knife rights. There is a new proposed rule from the U S Custom Agency attempting to redefine many of our EDCs as illegal. Please take a minute to listen to this important message from David Kowalski, the Communications Coordinator of the American Knife and Tool Institute. Switchblades have been ’round for a long time. Actually its history is extremely rich going back to the 1700s with English and French designs. The knife is one of the coolest patterns and one that simply makes a lot of sense, if you ask me. Regardless of the cutting situation, getting the blade out to use is the ultimate goal anyway. Hollywood glamorized the knife with movies, such as The Wild One (1954), Rebel without a Cause and High School Confidential (1955) and others. The films featured gangs, violence and rebels- rejects of society. Needless to say, we know what happened next- the US Switchblade Act of 1958. Then in 1959, the UK followed suit with its version of a federal law. Well, Hollywood is at it again, yet this time the movie is a prequel and has already grossed $87 million after only releasing a few days ago. Granted, it does not portray the typical garden-style automatic though. Instead this “knife” has three blades that release simultaneously- and from a man’s hand. Yeap, you guessed it. 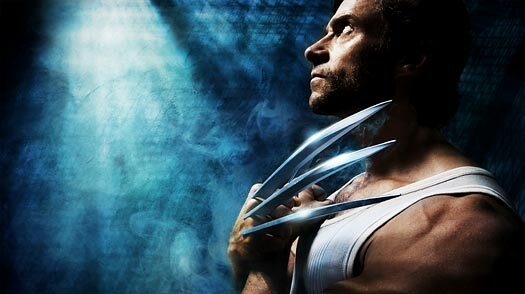 They are the deadly weapon of the Wolverine. It is interesting to note too in the land of the free enterprise system, some entrepreneur jumped in to produce a claw blade “knife”. If you are interested in switchblades there is a new group of enthusiasts over at iKnifeCollector, the next generation knife collector community.